Students who are unable to meet the minimum requirement to pursue diploma, foundation or matriculation programmes after SPM are offered a lifeline in the form of INTI’s Certificate in Business Studies which provides a pathway to their academic goals. “The certificate is essentially a bridging programme for students to progress to a diploma programme in Business Administration, Culinary Arts or Hotel Management at INTI College Sarawak. 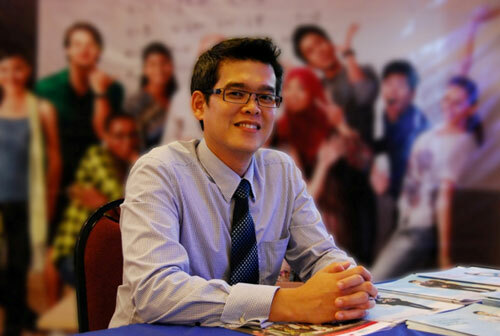 Through the certificate programme, which can be completed within a year and four months, they will acquire a basic understanding in all areas of business, namely Marketing, Management, Economics, Bookkeeping and Information Technology,” said Voon Boo Khoon, INTI College Sarawak’s Head of the School of Business. The certificate programme will help students develop a basic understanding of business and prepare them for further studies at diploma level, says Voon Boo Khoon. Throughout the programme, students will be guided and supported by a dedicated and experienced team of lecturers. By providing an environment which focuses on student-centred teaching and learning, INTI empowers students to be self-directed, motivated and independent learners. Project Based Learning is applied in many courses at INTI, including the Certificate in Business Studies. In the past year, INTI students have successfully completed a total of 50 real employer assignments that were formulated to help develop in-demand skills such as problem solving, collaboration and effective communication. Aside from Project Based Learning, INTI has in place initiatives such as First Year Experience to help students cope with tertiary education by providing academic development skill sessions in academic writing, mind mapping, note taking, preparing for examinations, library research and IT skills; Peer-assisted Study Sessions by student leaders to help fellow students enhance their learning abilities; and Entrepreneurship Module to nurture the spirit of entrepreneurship among students. As part of the global Laureate International Universities network, INTI’s students can tap into Laureate’s vast online resources, which enable them to have at their fingertips a global perspective on practically any subject matter. This goes a long way in facilitating the learning process and fosters an appreciation of the breadth and depth of global issues. This is INTI’s Laureate Advantage. The INTI edge is further enhanced by the E2E (Enrolment to Employment) initiative where INTI partners with leading multinational corporations to bring industry into the classroom. In this respect, the Business Leadership Series (BLS) serves as a platform for the student community to engage with the industry in addition to having real time dialogues and debates on topical issues. Students who attend the BLS have the opportunity to meet, hear from and be instructed by top minds in the country and region. Enrolment to the Certificate in Business Studies programme is now open and classes will commence on April 9, 2012. For further information, please call 082-570888 or visit INTI College Sarawak at Jalan Stampin Timur in Kuching.